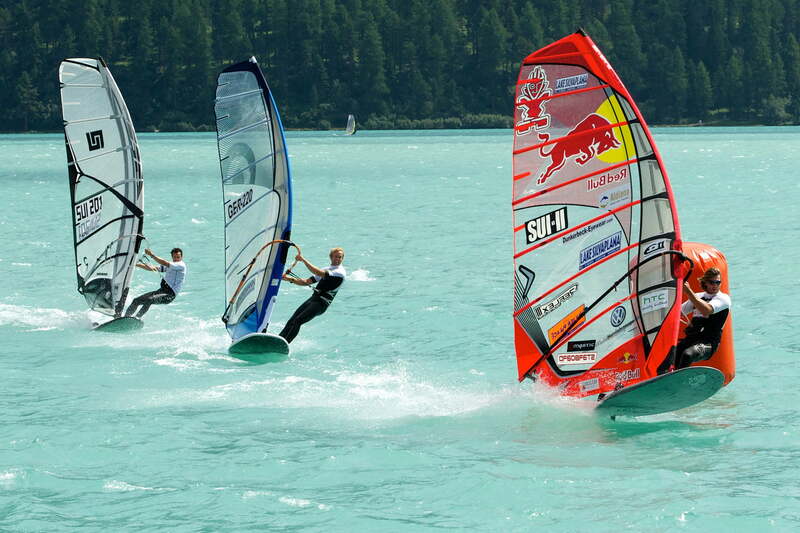 Kiting, surfing, sailing. It is all thanks to the legendary Maloja wind: the superb conditions on idyllic Lake Silvaplana at 1,800 metres (5,900 ft) above sea level have been an open secret among windsurfing and kitesurfing aficionados ever since kitesurfing pioneer, Stefan Popprath, set up base here. Although participation in the Engadin Wind surf marathon is open to everyone, the crème de la crème of the surfing scene also gather here. On the big and small lakes in the region Engadin St. Moritz various water sports activities are allowed. As a trend sport, Stand Up Paddling has been surging on a wave of popularity in recent years. A paradise for anglers: the Engadin is renowned for its abundance of fish. Explore the glittering lakes and the wild River Inn in all their thrilling beauty. Explore Lake Silvaplana and Lake Sils – from the water. Need some golf clubs, hiking sticks or mountain bikes? Here you are at the right address.